Buying pre-owned jewellery, be it a ring, bracelet or a watch, is much more sensible due to many factors, rather than buying brand new ones. If you like collectable jewellery which has distinctive features and want to pass it to your children and grandchildren, listed here are the top reasons for diving into the second handed market. When you own a brand new piece of jewellery, there is that exciting feeling of being the sole owner and the first person to set hands on it. However, when you buy a pre-owned collectable, there’s something mystically attractive about it. The beauty of it is that the pre-owned piece you are buying might have been handcrafted with age-old expertise and artistry that present day jewellery makers might have never heard of. Hence, it cannot be substituted or faked. Possessing collectable vintage jewellery or an age-old wrist watch means you become the only remaining link to an episode of history. The origin of it and the story behind the jewellery creates a magical feeling of mystery. Chances are, you might be wearing something owned by royalty. Some of you might have felt the disappointment of buying brand new jewellery that you love, having to see its glitter gradually fade away, resulting in permanent damage. In contrast, if you purchase a used collectable bracelet or a ring, you may rest assured of its longevity since it has stood the test of time, and you know you have bought a magnificent piece that will decorate your wrist for years. Collectible wearable was made to last long from the highest quality material. So, why waste your cash on something that doesn’t have a lifelong guarantee? Currently, they do jewellery manufacturing in large batches, which often limits the degree of variety in designs. Many times, you will find yourself limited to a few collections that are on offer that particular season. Conversely, when you opt for pre-owned pieces you have assurance you will have many to choose from; limited editions, unique designs, vintage jewellery and even more. 4) Fashions Go In And Out Of Trend – Classic Pieces Stand! Fashion and styles are subject to change as the seasons change; new ones appear, and old ones resurface just as often. Apparently, vintage styles that reappear have invaded the industry more often than not, giving proof for the authenticity they possess. Given the era of the design, you might find yourself fondling a designer masterpiece that will be on a fashion ramp or a luxury designer collection in a few months’ time. Instead of going after low-quality jewellery, you will be the proud owner of an authentic masterpiece that inspired modern day designers. As described above, purchasing second-handed jewellery provides you with a lot of options to explore, probably more than you ever imagined. Simple or extravagant, Vintage or modern; whichever is your preference, purchasing second-handed jewellery helps you bring about your unique personal fashion standards to its latest heights. Irrespective of the fashion era you choose to buy from, you will find distinctive features that stand out from the other designs and makes. For most individuals, purchasing second handed pieces is all about the money they put into it which is particularly true concerning luxury watch brands. With popular ones like Rolex, Breitling, and Omega that people so much long for, it’s unavoidable that a few will increase in demand due to the scarcity and will start to become expensive. This occurs primarily when a given brand or model cease its production. So, if you manage to set your hands on a second handed edition of an exceptional timepiece, rest assured you’ve struck gold with a wise investment. 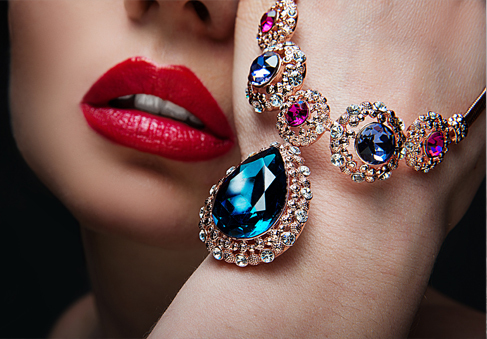 It is needless to say that second-handed jewellery will be way economical than purchasing brand new pieces. Based on the brand and the era it was manufactured, you can buy a few second handed masterpieces at half the price of a similar brand-new piece of jewellery. As elaborated earlier, not only you’re paying for the jewellery piece, but also you get pretty much more than when buying a brand-new jewellery piece. Also, you possess the legend and history each priced gem carries. Who wouldn’t desire a majestic ring, or a vintage wrist watch which was made to stand for ages? After all, it isn’t just about the money you spend! Of course, why on earth should someone ever select anything other than pieces of pre-owned jewellery? You are bound to own jewellery made of highest quality materials, in both impressive modern and classic retro-vintage designs, more often at a highly reasonable price. Feeling enthralled after reading this? Well, feel free to explore our amazing collections now, and who knows what kind of a precious masterpiece you could bump into to possess for the rest of your life! Previous PostPrevious Is My Rolex Watch Genuine?